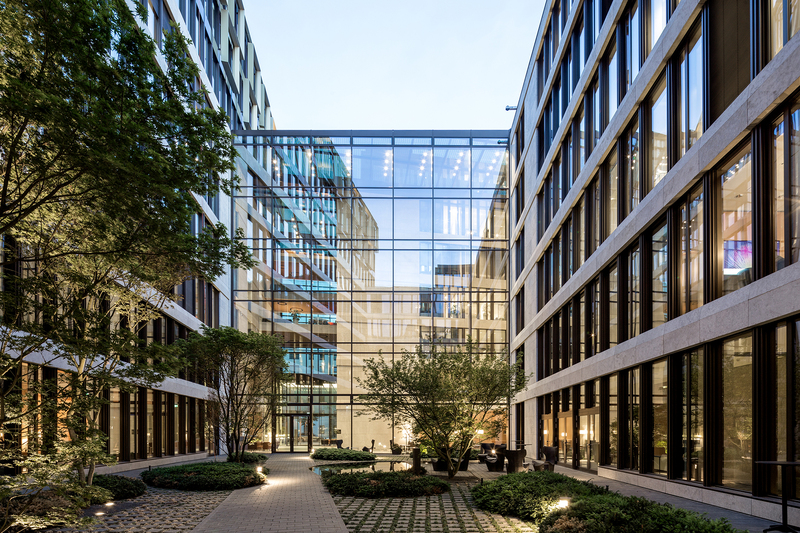 An innovative and elegant office building that merges interior design and architecture to provide generous common areas in a structure which takes the full-height glazed atrium as its defining core. Clad in the adjustable gold-bronze system of louver blades and external solar shading, the facade provides a graceful envelope for a bright and serene interior. Spatial arrangements of interior spaces invite for collaboration, casual encounters, and relaxation while upper floors are reserved for quiet working. Internal courtyards, gardens and terraces gently flow into the office spaces, providing a unique, flexible and pleasant environment.